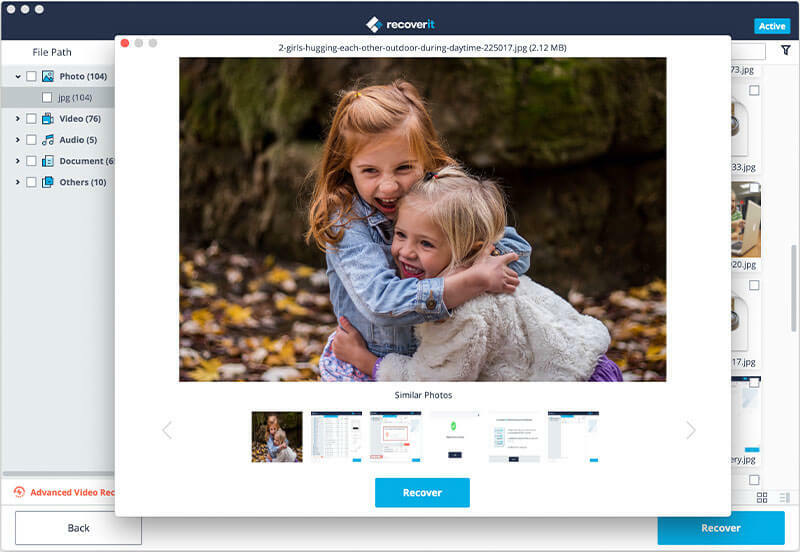 Easy and powerful data recovery software for all Mac devices that allows you retrieve data from Mac or external drives. The best Mac undelete and unformat tool is applied to almost all data loss situations. iSkysoft data recovery for Mac provides a all around data recovery solution for the mainstream data like photos, videos, document files, audio data and more formats files on Mac OS. We rescure your important data when you meet any data lost disaster on your Mac devices including from latest encrypted APFS file system. Lost data with mistaken deletions, disk/partition formatting, hard drive corruption, macOS reinstallation, hardware failures, lost partitions, system crashes, operating errors Any data lost issues happened from Mac OS can be solved easily with iSkysoft Mac data recovery. Restore deleted data from Mac trash or emptied trash smooth and secure. Recover data from formatted hard drive on Mac intentionally or unintentionally with no effort. 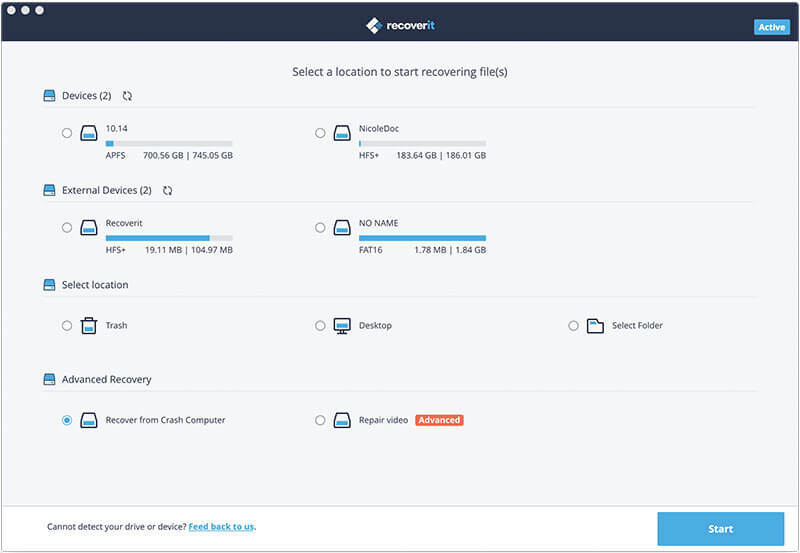 Rescue data from lost, deleted, formatted or hidden partition on Mac with loyal assistance. Recover data lost or corrupted data on Mac caused by virus attack and malware infection easier and safe. Create bootable media and retreive inaccessible data from Mac system crash and unbootable hard disk. Escape and restore data loss, file lost or damaged from Time Machine. Step 1: Run this program on your Mac and choose one mode according to your needs. 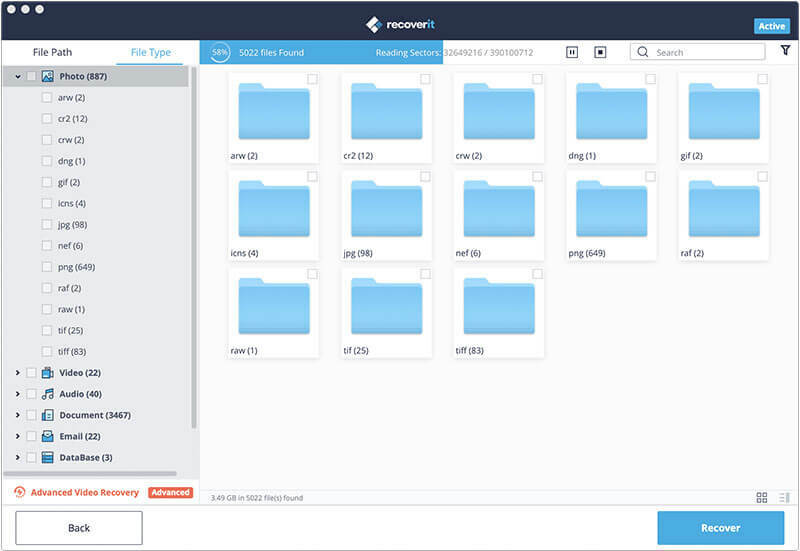 Step 2: Hit Start button to preview the recoverable files. Step 3: Just select the target files and launch the recovery process now! English, German, Spanish, French, Italian, Portuguese, Japanese, Chinese (Traditional), Chinese (Simplified), Dutch. Excellent product! I am a school teacherand thought that i had lost over 10 yearsworth of school work on my external hard disk until i bought this product.